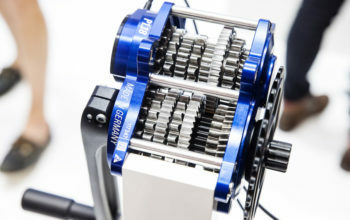 Portland Design Works (PDW) have just released the seatpost rack that they were first showing at Interbike last year. 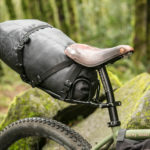 The PDW Bindle Rack went on presale on the 14th of June, and sold out within eight hours, indicating that there’s certainly demand for a firmer saddle bag design with no side-to-side sway. 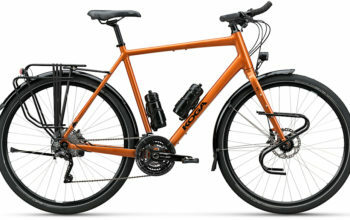 The rack is made out of alloy, tipping the scales at just 350g (13oz). 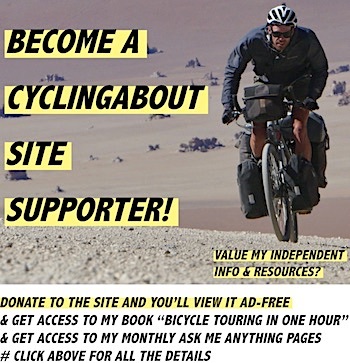 With a lightweight drybag it works out to be about 100g (3.5oz) heavier than a dedicated bikepacking saddlebag. It mounts to 22.0-31.6mm diameter seatposts with just a 5mm allen key. Compression straps wrap around a separate drybag to keep it all in check. 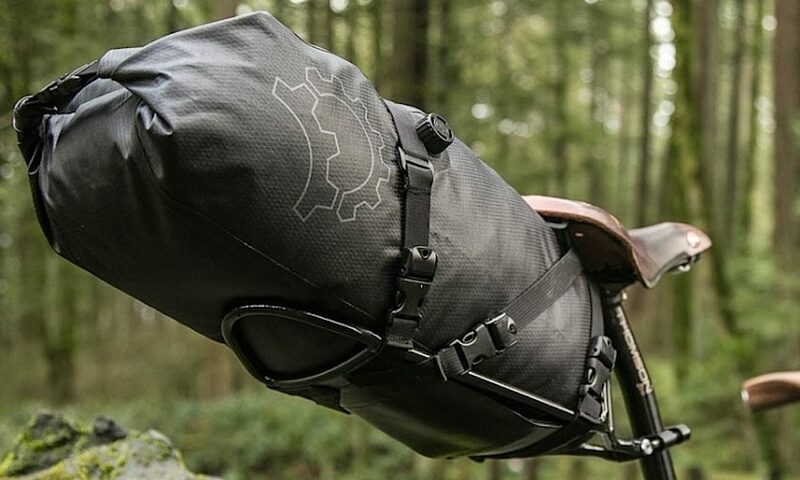 The PDW Bindle drybag rack is a more stable alternative to bikepacking saddle bags. 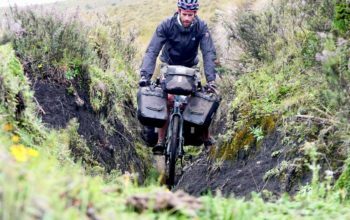 A key advantage for the PDW Bindle Rack is that you can mount it on small bikes that typically have little clearance between the rear tyre and saddle. 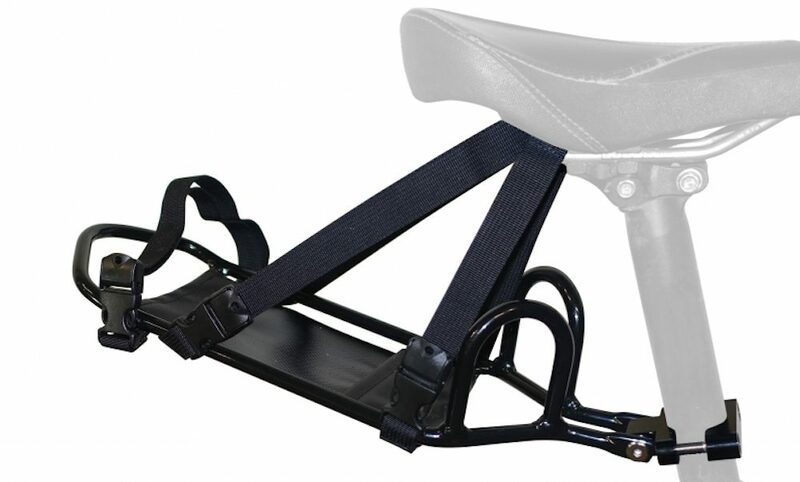 By mounting the rack at a height of your choosing, the saddlebag will compress and fit within whatever dimensions you provide it. 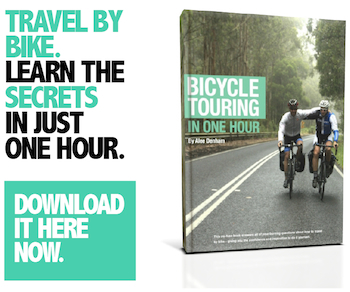 You’ll also be able to pack the drybag with less items and experience no drooping. 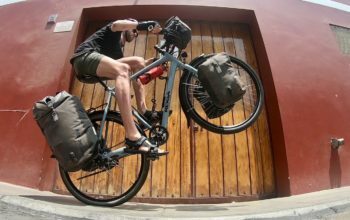 The Bindle Rack is available with a 14 litre Revelate Designs Terrapin drybag for US $30 extra (that’s a bit cheaper than what you’ll get if you order the drybag separately). The Terrapin drybag offers a tapered shape which fits this rack perfectly. This bag also features an air purge valve (like the Ortlieb saddlebag) to compress everything in tight. 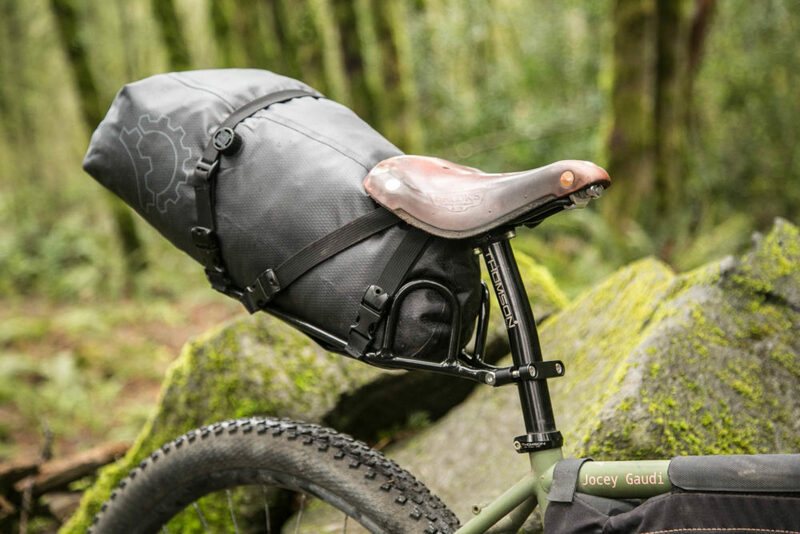 The Bindle Rack helps to reduce side-to-side sway typical of many bikepacking saddle bags. 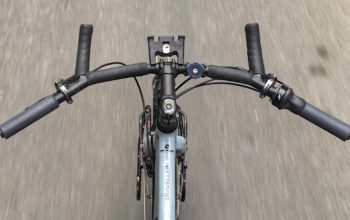 You can order the Bindle Rack through any PDW dealer, or alternatively you can wait til mid-July and get this seatpost rack directly from the PDW website for US $88.